Establishment Republicans are putting a full-court press on Wisconsin Rep. Paul Ryan to run for House speaker. Unfortunately for Ryan’s backers, so is amnesty champion Rep. Luis Gutierrez. “He would be good for the Republican Party. Paul Ryan is the kind of individual that would work with people on the other side of the aisle and that’s what we need,” the Illinois Democrat said of Ryan on Friday, CNN reported. The Democrat’s comments are likely to give headaches to House Republicans already reeling from the abrupt decision of House Majority Leader Kevin McCarthy on Thursday to end his campaign to replace Speaker John Boehner. Ryan has explicitly expressed a desire to remain focused on his chairmanship of the Ways and Means Committee, and conservative pundits are already building a case against him. 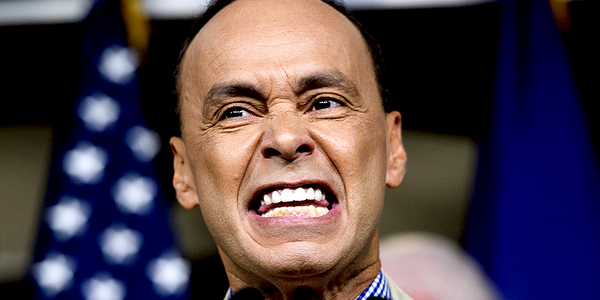 “Gutierrez has worked tirelessly to expand immigration levels and open America’s borders up to the rest of the world. As Gutierrez once declared, ‘I have only one loyalty … and that’s to the immigrant community,’” Breitbart News’ Julia Hahn said Friday. Erickson pointed to Ryan’s collaborations with Sen. Patty Murray, D-Wash., to raise taxes, fiscal deals he helped craft between Boehner and President Obama, and his support of No Child Left Behind as a partial list of examples why the Wisconsin congressman is not right for the House Speaker role. “In a world of modern media, Ryan would make an attractive speaker with a young, fresh face and a comfortable demeanor in front of the camera. But he would make it very difficult for House conservatives because to oppose Ryan is, in the minds of much of the press, to oppose conservatism itself,” Erickson added. Ryan told reporters in Washington on Friday he had “nothing to add” when asked if he had changed his mind about running for House speaker. “Chairman Ryan appreciates the support he’s getting from his colleagues but is still not running for speaker,” Ryan spokesman Brendan Buck said in a statement released Friday, Fox News reported. The pressure is so great for Ryan to run that Utah Rep. Jason Chaffetz – who is officially vying for the spot – said he would back the 45-year-old Wisconsin congressman, Fox reported. Florida Rep. Daniel Webster is the only other congressman in the race, although former Oversight Committee Chairman Darrell Issa, R-Calif., has expressed interest in running. “The fact is, yes, I think that I could potentially be a candidate. At the same time, I agree with the vast majority of members, I think. We need a Paul Ryan or we need somebody who is A.) experienced, B.) has been a committee chairman or something other than just up through the leadership ranks,” Issa said during an appearance on MSNBC’s “Morning Joe” on Friday, Townhall.com reported. Boehner originally wanted to end his tenure as House Speaker Oct. 29. That vote has been postponed. 2016, illegal immigrants, Legal Immigrants For America, LIFA, Rep. Luis Gutierrez, Rep. Paul Ryan. Bookmark.